Vikings quarterback Case Keenum (7) leads the No. 2 BES Offense and the No. 2 team in BES Overall. As the 2017 playoff picture comes into focus, our Week 12 BES Rankings show a pair of top NFC teams at No. 1 and No. 2. Meanwhile, one has to wonder if this week’s No. 1 BES Offense and BES Defense are destined for a Super Bowl showdown. 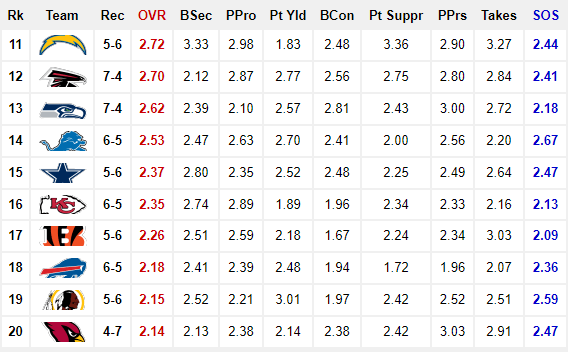 Eagles Expand Lead – In their second consecutive week atop our rankings, the Philadelphia Eagles (10-1) have improved their BES Overall score to 3.56. 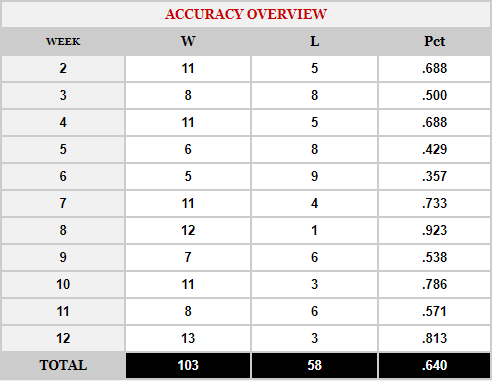 That score paces the field by +.16 points and is a +.8 point improvement on their 3.48 score in our Week 11 report. It will be interesting to see if they sustain that push through the next two weeks. That stretch involves visits to the Seattle Seahawks (7-4) in Week 13 and the Los Angeles Rams (8-3) in Week 14. 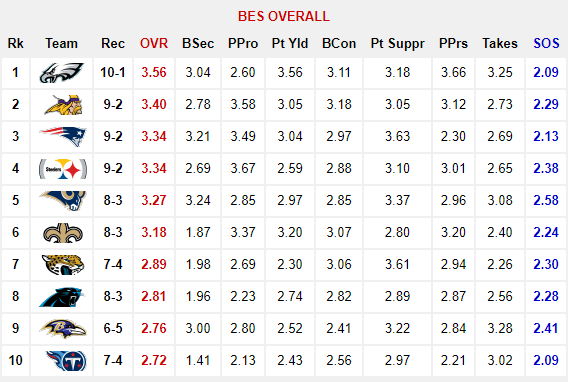 Furthermore, those two teams average a BES Overall score of 2.95, +.86 points better than the Eagles SOS of 2.09. Vikings Surge to No. 2 – The Vikings maneuvered into the No. 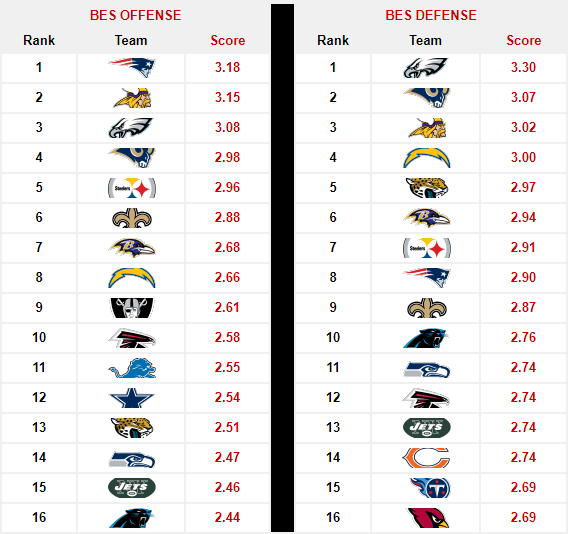 2 slot in our Week 12 BES Rankings after placing fifth last week. 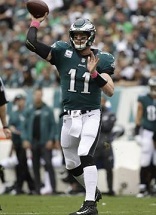 They now loom as a major threat to the Eagles lead in the race for home field advantage in the NFC playoffs. However, just like the Eagles, the Vikings have a pair of difficult road games on the horizon. The Vikings must travel to a daunting NFC South to confront the Atlanta Falcons (7-4) and Carolina Panthers (8-3) in Weeks 13 and 14 respectively. Tennessee Titans (+.22) – The Titans (7-4) are a new addition to the BES top-10 this week after going 5-1 in their last six games. 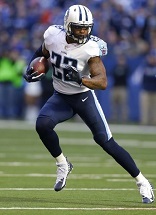 Tied for first place in the AFC South, the Titans have three of their remaining five games at home. 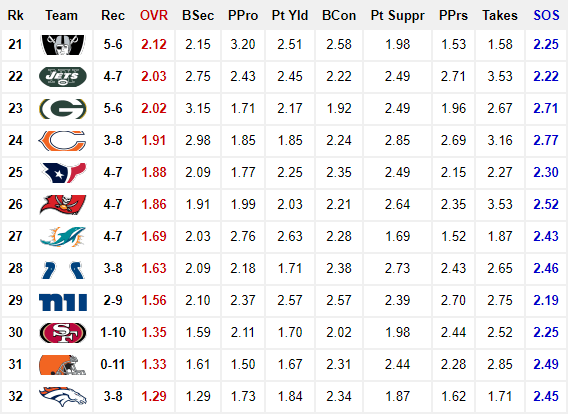 Atlanta Falcons (+.21) – This marks the third consecutive week we’ve featured the Falcons among our risers. 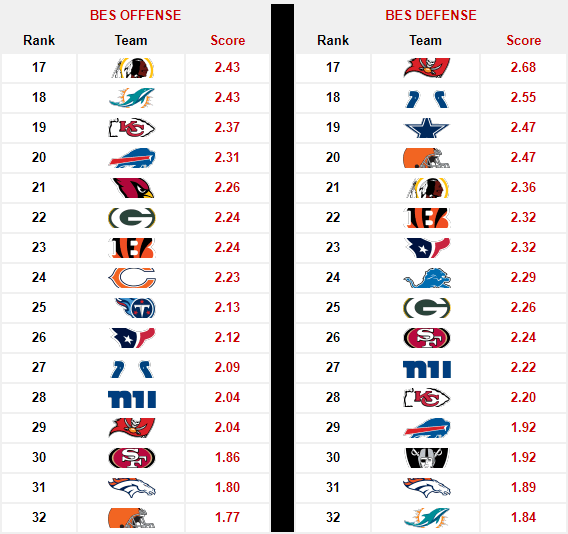 Over that span, the Falcons have improved their BES Overall score by +.64 points and won three straight games. Baltimore Ravens (+.16) – The Ravens are 2-2 in their last four games which includes demonstrative shutouts of the Dolphins (4-7) and Packers (5-6). As a result, they also saw a +.25 point jump in BES Defense from 2.69 to 2.94. Jacksonville Jaguars (-.09) – The Jaguars have stumbled a bit after losing to the Arizona Cardinals (4-7) in Week 12 . They’ll have a chance to recover with an upcoming stretch of three straight home games. Denver Broncos (-.12) – What makes this noteworthy is the Broncos (3-8) have replaced the winless Cleveland Browns (0-11) as the worst team in the BES. 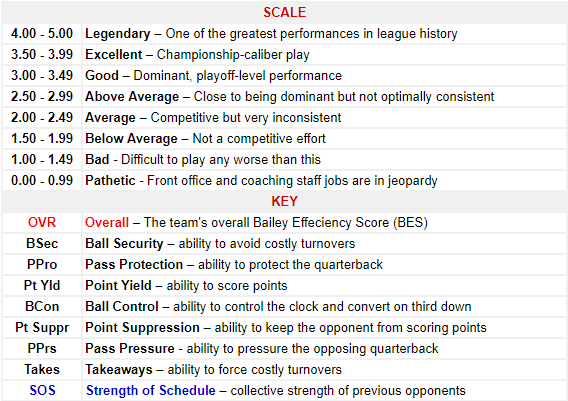 The Browns had previously held that distinction since our Week 4 report. Vikings (No. 2) @ Falcons (No. 12): The Vikings are fast becoming the bullies of the NFC but the Falcons have a ton of momentum and home field advantage. Panthers (No. 8) @ Saints (No. 6): The Saints stomped the Panthers on the road 34-13 back in Week 3. Will the Panthers exact their revenge or be swept? Eagles (No. 1) @ Seahawks (No. 13): The Seahawks are the toughest opponent the Eagles have faced in quite some time. However, the Eagles might have too much offensive firepower for the Seahawks crippled defense.